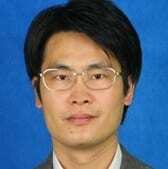 Zongwei Li, is an assistant professor Shanghai University of Science and Engineering, teaches curriculum design and undergraduate courses in data analysis. As a visiting scholar, Dr. Li’s research focuses on ‘Hospitality Management under Internet Environment’ and e-commerce in China. Dr. Li received a Ph.D. in Management from Tongji University and an M.S. in System Management and Analysis from the University of Shanghai for Science and Technology.